Dilated Peoples, Mister Miranda, Scolla, Wreckonize, Quiz and more. This show was 7th in the global rap / hip-hop chart, 28th in the global underground hip hop chart, 47th in the global rap chart and 59th in the global hip-hop/rap chart. 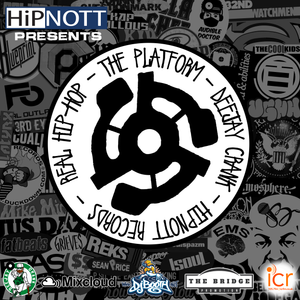 Underground Hip-Hop show &apos;The Platform&apos; hosted by the internationally known, award winning entertainer, Darren &apos;Crank&apos; Parsons and presented by HiPNOTT Records. This week&apos;s Platform features brand new music from: Wordsworth, Skyblew, Awon, P.so, Apollo Brown and one from Tha Addicts newly released free LP "This Is For Us"